The RoastMaster General is coming to Sneaky Pete. 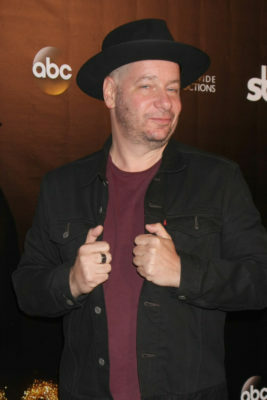 Deadline reports Jeff Ross will recur on season three of the Amazon TV show. From executive producer Bryan Cranston, the drama centers on Marius (Giovanni Ribisi), a con artist who finds himself on the run from a gangster he once robbed. The cast also includes Marin Ireland, Margo Martindale, Peter Gerety, Libe Barer, Shane McRae, and Michael Drayer. Amazon has not yet announced a premiere date for season three, but filming is currently underway. What do you think? Do you watch Sneaky Pete? Are you excited for the upcoming season?